We are nearly at the 50th anniversary of The Man and the Hour and it is time for one last bit of eye-rolling from Private Frazer. 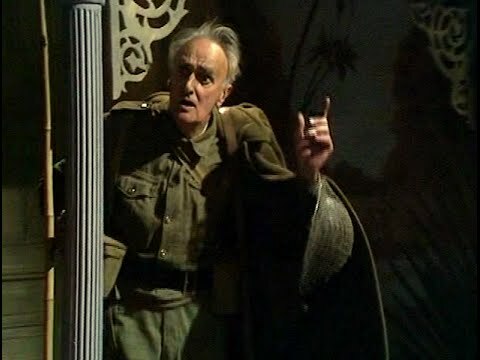 The episode Menace from the Deep from the third series is probably one of the best from Dad’s Army and regularly tops polls of favourite episodes. It has all the classic Dad’s Army elements – the platoon are embarking on a mission to guard the (broken) pier head. An attack of the stupid-boys results in the platoon becoming marooned and their attempts to signal for help lead only to an enraged Hodges being stuck with them (and ruining his new uniform). The situation goes from bad to worse when they wake to find a magnetic mine under the pier, threatening to blow them all to smithereens. How they get back to land we never discover but their rescue from the mine comes courtesy of one of Hodges’ less well known skills. This entry was posted in blog on July 28, 2018 by wolAdmin.